Abner Aviator polarized sunglasses are made of polished and ultrathin metal material, coming with Gunmetal and Black/Golden. Featured with adjustable nose pads and TR90 temple tips, brings comfortable wearing experience. Square aviator and creative temple design. While polarized lenses come with full UVA and UVB coverage. 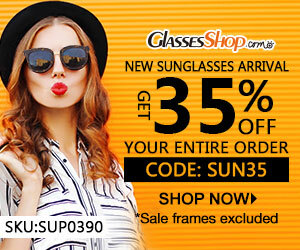 Prescription sunglasses and non-prescription sunglasses are available.